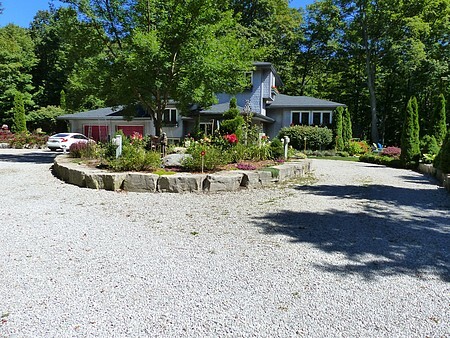 Ravens Ridge is 20 minutes north of Barrie and 15 minutes south of Orillia minutes off Hwy 11. 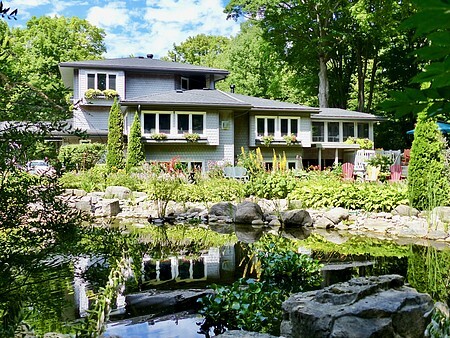 We are ideally located to act as your landing spot to explore Simcoe County and Muskoka. There is always the option of spending You time on the property. You might experience an unique sensation upon entering through the gates at Ravens Ridge. Visitors and guests often speak of a relaxing exhale. Nature is a formative blood pressure regulator. There are unique elements on the property, including a classical seven circuit Labyrinth, Medicine Wheel and a pond that is home to resident mallards and aquatic friends. Ravens Ridge’s host, Catherine is a Director for the Orillia Horticultural Society and a member of the Oro Medonte Horticultural Society. 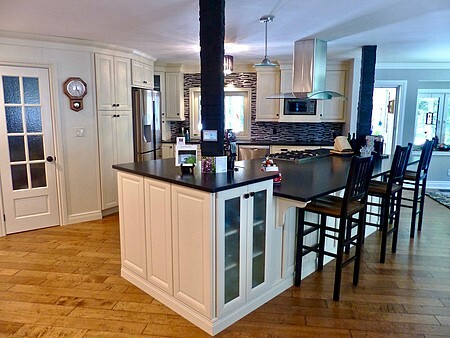 Her expertise and love of the property is clear as you explore the grounds noting the care and observance to detail. Catherine is a Usui Reiki Master practitioner. Onsite appointments to meet with her are available upon request. Indoors, themed rooms have been furnished with you in mind. Linens, hotel quality mattresses and many more creature comforts await your arrival. 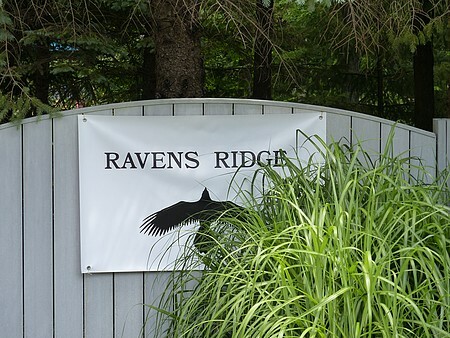 Ravens Ridge is waiting for you! Check In/Check Out : Check in is between 3pm and 6pm. Check out is before 11:00 am. Early arrivals may be accommodated with advance notice. Please advise if a later arrival will be after 6pm. Cancellation : *100% refund cancellation 14 days or greater from booking date. *0% refund if cancellation received less than 14 days from booked date. Seasonal Information : Simcoe County is known as the four season playground. 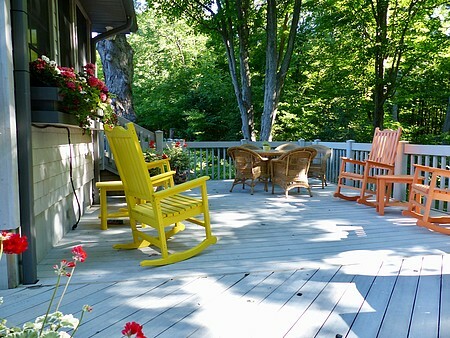 Ravens Ridge welcomes guests throughout the year.